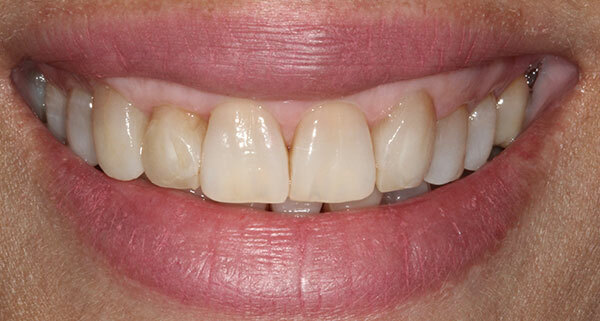 Our patient came to us ready for her porcelain veneers right after finishing Invisalign. Knowing that her teeth were dark and discolored, she went through Invisalign first to better position her teeth for the veneers. 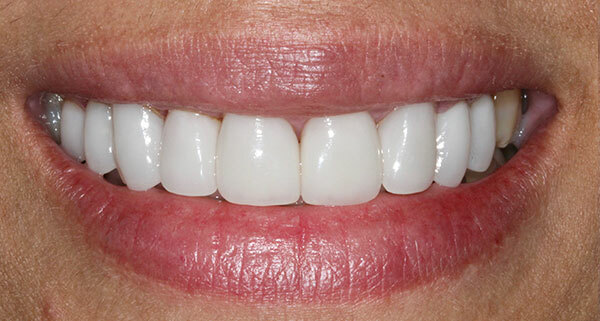 We placed veneers on her upper teeth as well as lifted her gums to create more symmetry. The porcelain we used is resistant to staining and will look this good for years to come!